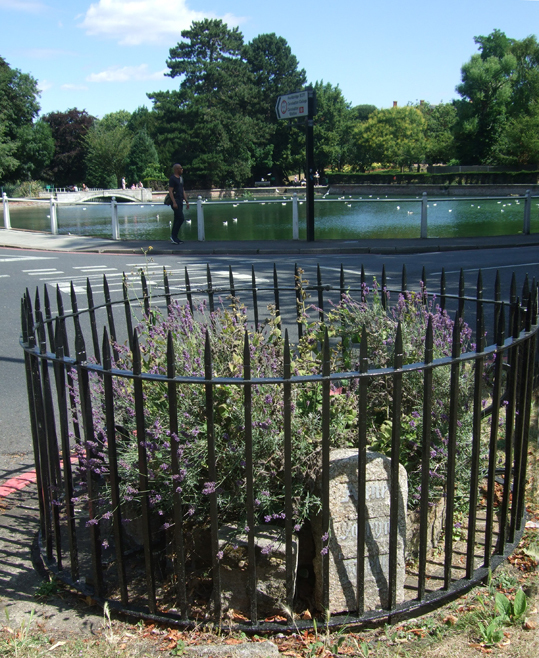 I was passing through the pretty village of Carshalton in Surrey yesterday and took this photo of Queen Anne's Well. 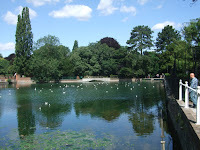 To be honest, I've been through Carshalton many times before and never noticed it - but that's probably because it is right opposite Carshalton ponds (pictured right), which are lovely and much more impressive than the little dried-up well surrounded by iron railings. If it wasn't for a small stone sign saying it is the site of a holy well you would probably just think it was a small, circular flower bed. 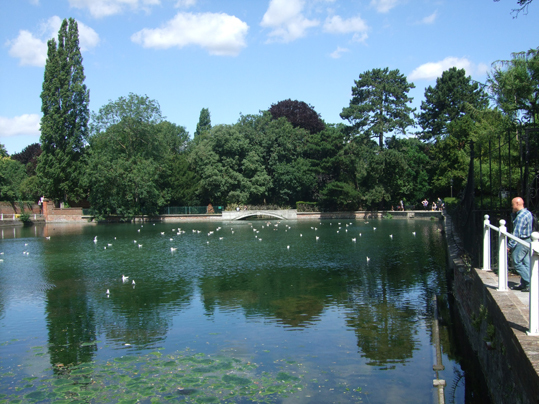 Local legend has it that Anne Boleyn's horse stumbled on a stone while she and Henry VIII were journeying from Nonsuch Palace to see a local nobleman and that the well sprung up on the site. The problem with this story is that Nonsuch Palace was built in 1538, while Anne was executed in 1536! It is more likely that the name is a corruption of Notre Dame de Boulogne, as the Count of Boulogne was Lord of the Manor of Carshalton in the 12th Century. 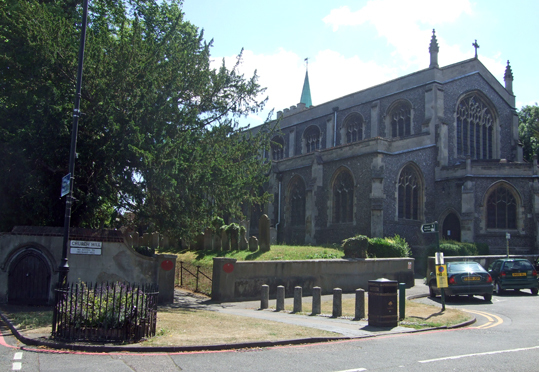 The well stands at the corner of All Saints Church, on Carshalton High Street, and is very easy to find if you are looking for it. The churchyard also provides a great view over the ponds.